China Conservation and Research Centre for the Giant Panda. China Travel Services. CTS. Los Angeles. San Francisco. Themed by "Silk Road Connects the World, Happy Tour in Beijing Brings Great Joy", the 19th Beijing International Tourism Festival will be held in Beijing Olympic Park, Beijing International Flower Port, Beijing International Chinese Rose Theme Park and Shijingshan Amusement Park from 1st of October to 4th of October, 2017. Silk Road connects the world, happy tour in Beijing brings great joy! Welcome to Beijing on this beautiful day of autumn! 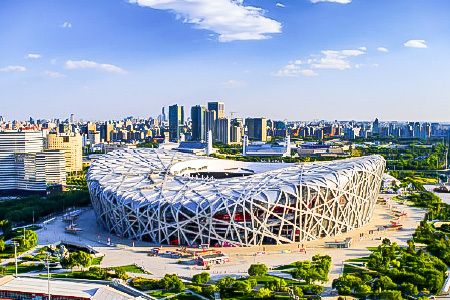 On Oct.1, 2017, the 19th Beijing International Tourism Festival will be held at the celebration square of the Olympic Park, which is located between the Bird’s nest and the Water Cube. The event will bring together dozens of performance troupes from 18 countries and regions around the world, who will present audiences with a sumptuous audio-visual feast. By then, the place will be teeming with Chinese and foreign artists and performers adorned with heavy make-up and exotic dresses. Come, join us and have an exhilarating party in Beijing! The golden autumn of Beijing is like a sea of flower. A visit to Beijing will bring you face to face with the fragrant chrysanthemum and have a taste of autumn. 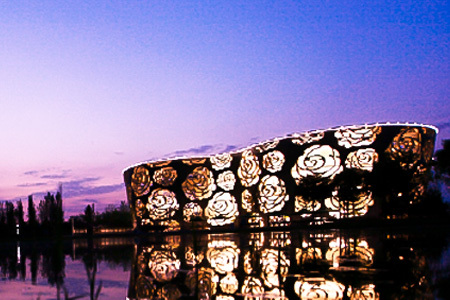 International Flower Port, Beijing China, one of the venues for the 19th Beijing International Tourism Festival, will be home to international non-profit tourism activities for people with disabilities. There are a variety of activities to entertain you and to experience a different national day, including chrysanthemum culture festival, family garden tour, exhibition of Chinese paintings and calligraphy by people with disabilities, artistic and exotic performances. 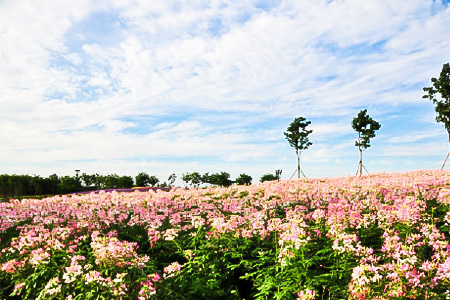 This tourism festival coincides with the blooming season of Chinese rose and China’s Moon Festival. Beautiful flowers and full moon await you in Beijing! 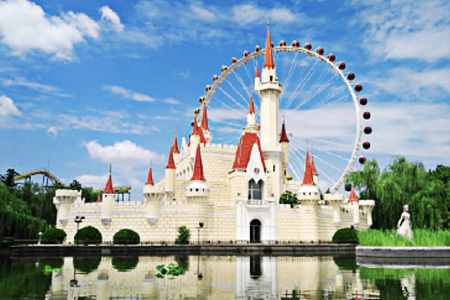 International Chinese Rose Theme Park, located in the Daxing District of Beijing, will serve as venue for the closing ceremony of the 19th Beijing International Tourism Festival. By then, dozens of performance troupes from 18 countries and regions will give performances in celebration of China’s Mid-autumn Festival and Silk Road. This park will then turn into a world stage filled with overflowing joy and laughter. Come, join us! Let’s unleash your taste buds! Let’s get stimulated together with delicious food! During the 19th Beijing International Tourism Festival, we will hold an international cuisine carnival themed on western cuisines at Shijingshan Amusement Park. By then, you will not only feast your eyes on fabulous exotic performances, but also get to taste authentic foreign delicacies. The festival will last for three days from Oct.1 to Oct.3, 2017. Dazzling performances and delicious cuisines await you, be there or be square!